With a career spanning more than five decades, it is no surprise that there is a surfeit of Bob Dylan greatest hits collections. 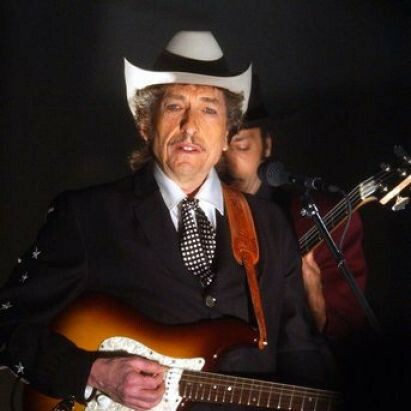 Indeed, there are three volumes of Greatest Hits, there is Essential, there is the mid-career-spanning Biograph, and, in 2007, the compilation Dylan, released as a single CD and a triple-CD. It is probably not too surprising that Dylan would release a second album titled Dylan, since he disavowed the first one (made without his input by a spiteful record company, only last year allowing it to be released on CD, and presumably only for the sake of semi-completeness). I’m not so much interested in the title as in the consolidation of the notion of what is essential in Dylan’s catalogue. If you look at the previous Greatest Hits volumes, you have three volumes, one of which is a double-album (volume two). Released in 1967, 1971, and 1994 respectively, Greatest Hits includes 46 songs. Of those, seven of the songs were unreleased at the time that they were included (basically almost all of side four from Greatest Hits v2, and two tracks from v3). That makes 39 tracks from 1963 (nothing from his first album made a Greatest Hits) to 1994 that had already been anthologized under the rubric “greatest”, rather than being a form of cynical record company manipulation (“Hey, we know you hardcores have all this – but two unreleased tracks!”). So that’s our starting point. Dylan, the three volume version (I’m going to essentially ignore the single volume here), has 51 songs – so twelve more in the thirteen intervening years. But, of course, it’s not entirely just an addition of new material. Here’s how it shakes out. “Song to Woody” becomes the earliest song, rather than “Blowin’ in the Wind”. This could never have been considered a “hit” in 1967, but by 2007 it is clearly an essential porto-Dylan song. “Masters of War” is added. It was an inexplicable absence from the earlier Greatest Hits collections. “Most Likely You Go Your Way (I’ll Go Mine)”. Great song, but is possibly added to Dylan only to promote the Mark Ronson remix that will be used as a sales hook for the set. “On a Night Like This”, which I think is a bit of an odd addition – I don’t think that this is a better known song than many that were deleted. “Simple Twist of Fate”. This easily could have been included on Greatest Hits v3, and probably should have been. “Precious Angel”, “Dark Eyes”, and “Blind Willie McTell” are all promoted to essential songs from the 1980s. Interestingly, “Blind Willie McTell” was originally not even going to be a release, as Dylan cut it off of Infidels (still one of his most bizarre choices of all time). This seems a testament to the influence of the Bootleg Series and, of course, to Dylan’s touring performance selections. The remaining ten new songs on disc three are all post 1997 (“Things Have Changed”; “Po’ Boy”; “High Water (for Charley Patton”, etc.). In some ways it is interesting that Dylan gives twenty per cent of the set to the most recent decade of his life. The work deserves it, but this isn’t the work that a lot of people know and love. In this way, Dylan provides the kind of service that you’d want a career-retrospective to do. What about the songs that have disappeared? Well, from Greatest Hits v1 “I Want You” is gone, which isn’t the biggest loss of all time, but otherwise the whole album is there. Basically, an argument can be made that Greatest Hits v1 holds up entirely – smart choices all around, and a strong early consensus on “important Dylan songs”, with the exception of the miss of “Masters of War”. Greatest Hits v2 is far, far spottier. Deleted are “Watching the River Flow”, “Stuck Inside of Mobile”, “I’ll Be Your Baby”, “Tonight I’ll Be Stayin’ Here With You”, “She Belongs to Me”, “The Mighty Quinn”, “Tom Thumb’s Blues”, “Tomorrow is a Long Time”, “When I Paint My Masterpiece” and “Down in the Flood”. That’s a ton of songs. Of those, three were unreleased at the time and didn’t hold up (though both “Masterpiece” and “Down in the Flood” are good songs). I think that the deletions here are indicative of the fact that Greatest Hits v2 was too broad, covering a relatively thin period for Dylan with a double-album set. While I like almost every one of these deleted songs, it is true that a number of them were in no way “greatest hits”. Greatest Hits v3 fares much better – only one song didn’t make it, one of the two unreleased songs added to goose sales (“Series of Dreams”). This album, of course, covers twenty-three years and includes a ton of awesome albums (Blood on the Tracks, Desire, Infidels, Oh Mercy….) so it would have been much more difficult to get this wrong. Remarkably, there is very little movement on the first and second Greatest Hits – one song deleted from each after forty and ten years respectively. That’s a clear consensus. Greatest Hits v2 was a bit of a predictive disaster, however, and looks illogical from the standpoint of 2007. As an album I’m not sure how Dylan sounds – I don’t own it and haven’t actually listened to it. With only one new track, it is simply things that I have re-arranged. As a list of songs, it is really great. I’ve begun to think about how I will compile my own top fifty or one hundred or whatever at the end of this, and Dylan is a good starting place. There’s nothing here that I would want to delete particularly from his canon, and lots that I would add to it based on my personal tastes, so I guess I’ll have to go to one hundred. I said earlier that I think Biograph is the best single source for a new Dylan listener, but this would give it a serious, serious run for its money, if only because it has two additional decades of great material to draw upon. If you’re looking for Christmas presents for the casual Dylan fan in your life, this might be a good way to go. 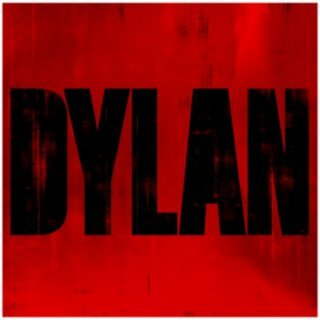 I should also mention that my eight-year-old son thinks this is the best Dylan album cover. He just loves the red and the big bold DYLAN. Don’t know how I missed this earlier–but I need to set you straight on Greatest Hits, Vol. 2. Again. The “throw in a couple of rarities to rip off the completists” thing in those days was not (yet) a thing. And for me, anyway, GH2 was an extremely welcome addition to the not-yet-complete Dylan collection. Point the first: vinyl was very fragile, and even if you were obsessively careful with your records, all it took was one idiot friend at a party (I had many) for an album to get trashed. A record with the best couple of songs from such a victim was very useful. Point the second: GH2 really aspired to a product niche that was just aborning–think of it as a proto-Biograph without enough courage in its convictions to really pile on the rarities like the later career-spanning compilations of the CD-box-set era would do.